Day 5 is finally here. 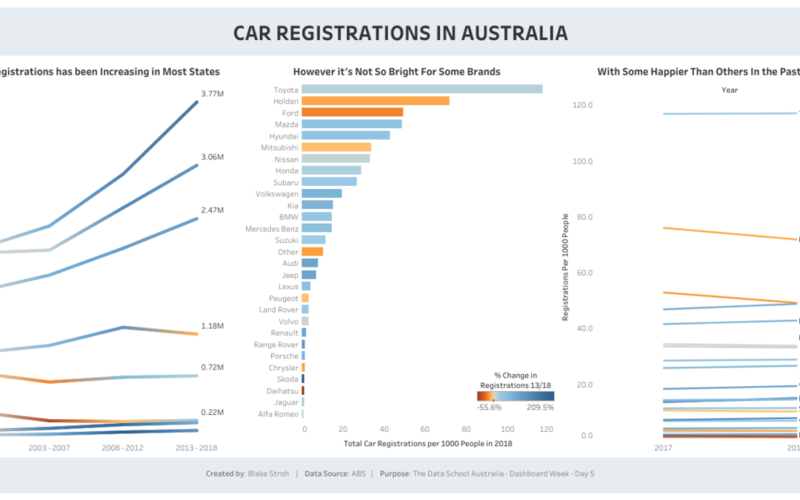 After a long exhausting week, we’ve received a smaller dataset on Australian Car Registrations and other related info from the Australian Bureau of Statistics. It was only a half day project so time management was super important again. 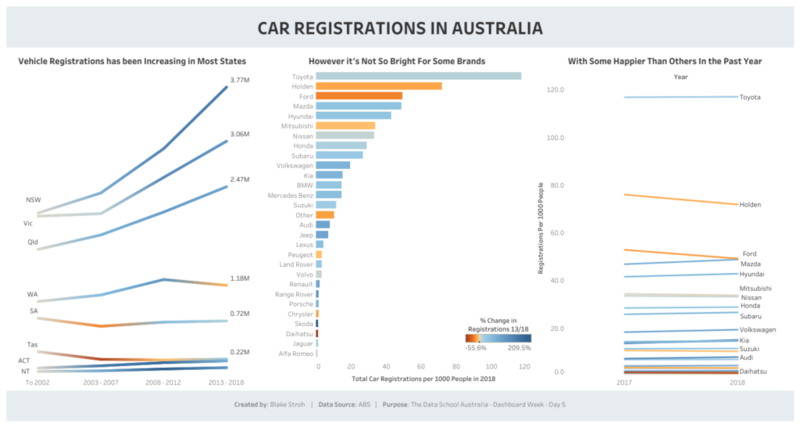 Review the past 4 dashboards here! With more information on how they were made in my blogs.